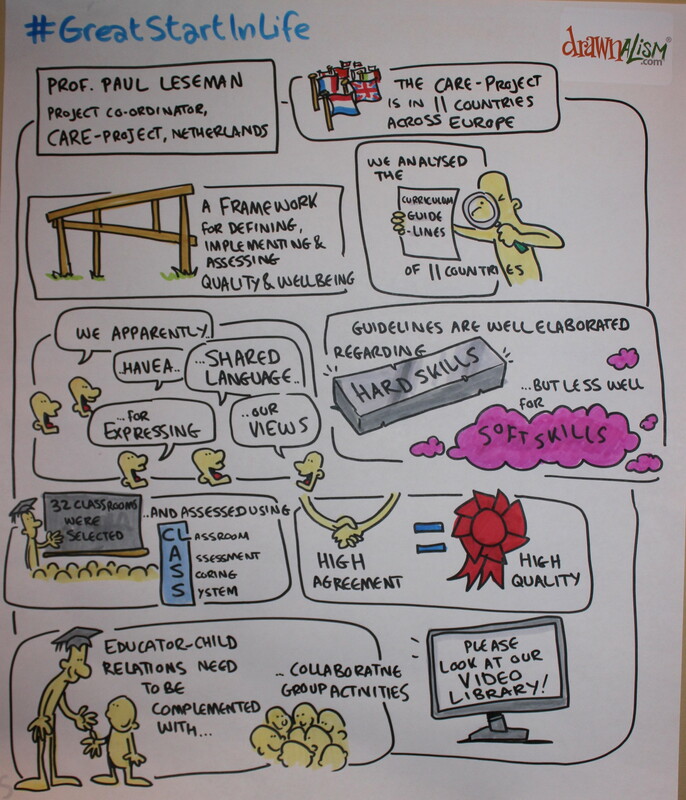 CARE in the European Commission: Open joint conference “Great start in life! The open conference “Great start in life! The best possible education in early years" Co-organized by the European Commission, DG Education and Culture, Unit B2 (Schools and Educators; Multilingualism) and European Commission, DG Research and Innovation, Unit B6 (Open and Inclusive Societies), took place in Brussels, from November 30 to December 1. The CARE team played an active role in this conference. Pedro Cunha , invited external expert of the CARE Final Conference, discussed the theme “Where are we with early years education quality and inclusiveness in the EU? – Early childhood education and care (ECEC), quality framework and the whole school approach in schools within national policies”. The CARE team disseminated and discussed the project’s goals and findings with participants during the exhibition showcasing. The video library, a promotional video highlighting the key findings, and interviews with CARE researchers, advisory committee members and external experts were shared with many stakeholders. Other relevant research projects and good practices in the field were also presented during this exhibition showcasing. Were you present? Send us your feedback by email or post it on our facebook page. All publications and materials from the conference, including the programme, background paper, brochure, as well as the European Comission policy messages "A whole school approach to tackling early school leaving" and "Proposal for Key Principles of a Quality Framework for Early Childhood Education and Care" are now available for download on the conference website.